Keep Extensions Looking Full And New! Step 1: Detangle all clip-in extensions with a wide tooth comb. Step 2: Wet your hair with luke warm water, starting close to the top of the weft where the tracks are. Be very careful as we don’t want to wet the thread the clips are attached to as that might loosen the clips. Step 3: Apply a decent amount of moisturizing shampoo in a downward motion to remove the initial dirt and excess oils from your hair. Step 4: Rinse, then repeat this process again until the water runs clear. 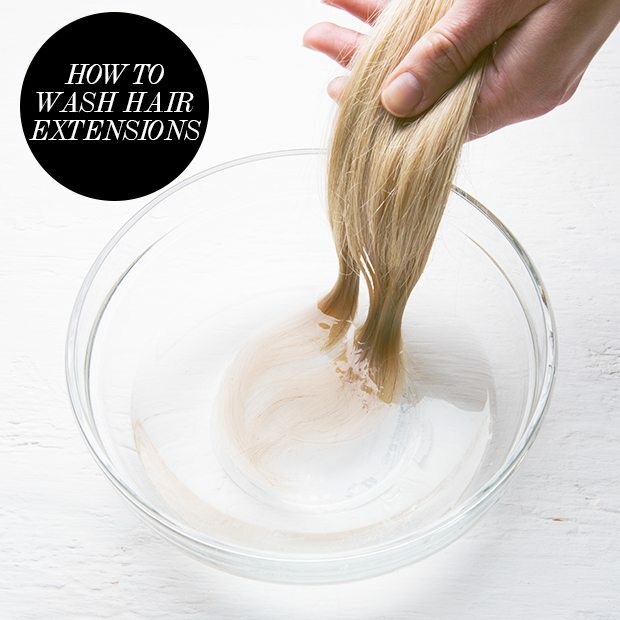 Step 5: Apply a conditioner of choice in a downward motion and leave in for about 10-15 minutes and rinse. Step 6: Let hair extensions hang and air dry as this will refrain from heat damage.